The Artful Escape of Francis Vendetti looks wild. The Artful Escape of Francis Vendetti looks wild. 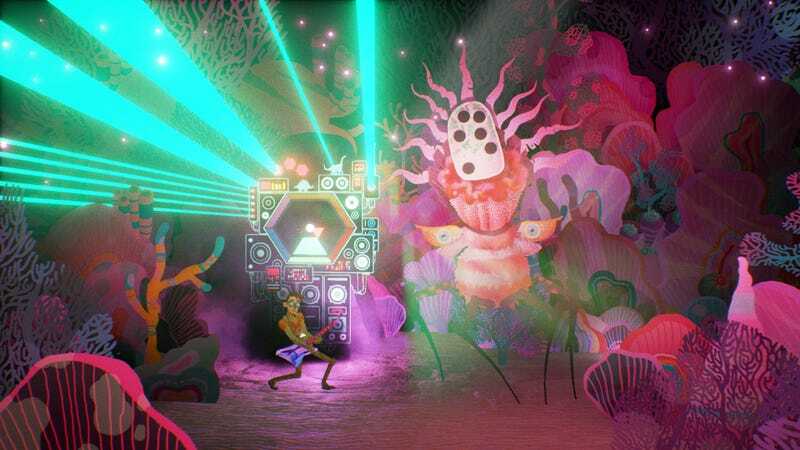 Described as a “music-sampling, platforming, rhythm laser-light guitar solo kind of game,” it’s about a musician on a psychedelic journey to create a stage persona. Creatures have sounds, and you can sample them to make your own.